On Wednesday this week, the 22nd of February, Michelin will announce their new picks for the Michelin Guide Nordic Countries 2017. The press conference will take place at Vasateatern in Stockholm at 10 AM. You can follow the event live in the video below. I was present at the launch of the first Michelin Guide Nordic Cities in 2015, which was a huge disappointment. Although Malmö and Aarhus were added as new cities that year, there were very few new stars handed out, and no entries outside of the largest cities. 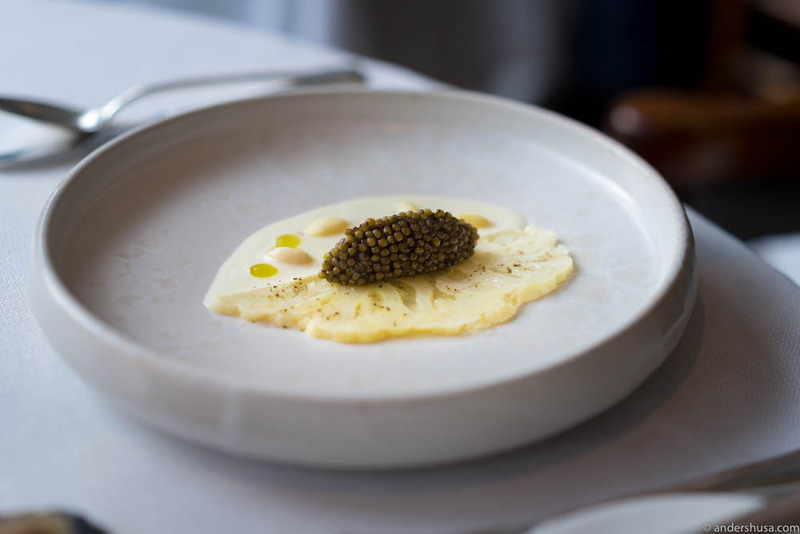 However, the next year Michelin had a big comeback in Scandinavia with their Michelin Nordic Guide 2016, where they awarded Scandinavia’s first three stars to both Maaemo in Oslo and Geranium in Copenhagen. The first Michelin Guide was launched in the year 1900 by the French tire manufacturer Michelin. The goal of the guide was to increase people’s interest in cars and get them to drive long distances and wear out their tires. The system with stars was not introduced until the 1930s. If the food is exceptional, the guide can award one, two or three stars to a restaurant. Additionally, Fäviken Magasinet, which is located in the middle of f*cking nowhere, was correctly rewarded with two stars. The guide also awarded one star to Re-naa in Stavanger as the first restaurant outside of Oslo in Norway, one to Daniel Berlin in Skåne, and one to Hotel Frederiksminde in Prestø to name a few of the highlights. Finally, it seemed the guide was catching up with the revolution that had taken place in the Nordic dining scene! If they hadn’t made this move, they would have risked being considered insignificant and outdated yet another year, and lose even more ground to the White Guide. The big question is: what will the Michelin Guide do this year? Will they return to their conservative and restrained ways with few changes and additions, or have they acquired an even deeper knowledge of the Nordic restaurants and are ready to surprise us again? Furthermore, do the inspectors actually visit all the star restaurants each year to assess the level? Most likely not. Just as for everyone else in the publishing business, it can’t be easy for the Michelin Guide either to fund all these expensive meals. Thus, they probably have to make careful selections based on information they gather from various sources: local experts, newspaper reviews, food and travel writers and bloggers, and other food guides. Some restaurants probably keep their stars without ever having been revisited or reviewed for an upgrade that year, while other hopeful candidates never get a visit because the inspectors prioritized differently. These are all unconfirmed rumors, but from what I hear it takes at least three visits for a restaurant to be a candidate for one star, and a three-star rating may require as many as ten or twelve inspections. As far as I’ve gathered, all inspectors must agree on the ranking, and the same applies to a demotion. The Michelin Guide Nordic Countries is based on reviews submitted from mostly British inspectors. Lotta Wrangle is the Nordic press spokesperson, but to my knowledge, she’s not an inspector. However, both the International Director of the Michelin Guides, Michael Ellis, and the UK editor-in-chief, Rebecca Burr, have been known to show up as dining guests sometimes (even together). Naturally, all inspectors book under a fake name to remain anonymous. It’s most commonly a booking for one, but it can be two inspectors in certain cases if one of them is in training. Generally, the reviewers won’t reveal their identity even after the visit, but sometimes they do identify themselves to ask the head chef a few questions and maybe inspect the kitchen – especially if the restaurant is considered for its first star. Which Restaurants Get Stars in the Michelin Guide Nordic Countries 2017? First, let me be clear on one thing: I, like everyone else, don’t know. Also, I haven’t personally visited all restaurants that may get a star this year. However, I have eaten at more Scandinavian restaurants than most people, and I’ve talked with many chefs and gathered information about possible Michelin inspections. These are a mix of my opinions and guesses about which restaurants get stars in the Michelin Guide Nordic Countries 2017. I just published my guide to the best restaurants in Stavanger, so what’s more natural than to begin there? Besides, Sabi Omakase is maybe the hottest star candidate in Norway. The Michelin Guide has even revealed on Twitter that they have visited and were impressed by the quality of the produce (one of the star criteria). Will they get one or two stars, though? 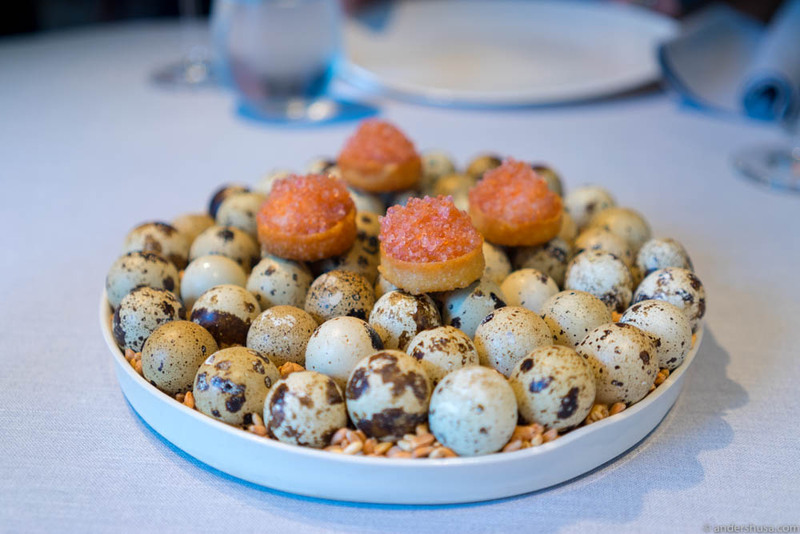 In my opinion, this is a two-star candidate (it’s unique, and certainly worth a detour), but so far Maaemo and Fäviken are the only restaurants in the Nordic region ever to enter the guide with two stars directly. I also think restaurant Re-naa is much closer to two stars than one, but Sven Erik Renaa does not believe he has had a revisit this year. 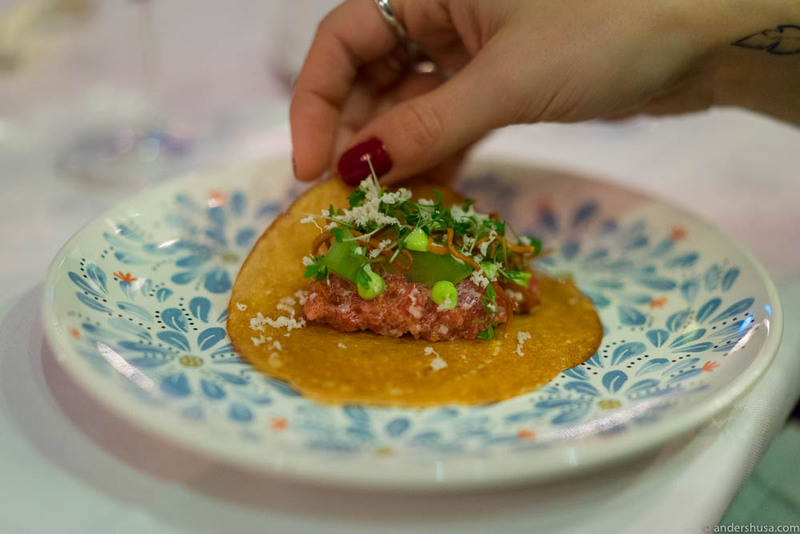 Both Tango, Renaa Matbaren, Casa Gio and Fisketorget serve excellent food, but the style, service, and environment may be too casual for the Michelin Guide to award them a star. Certainly, they all deserve to be mentioned in the guide with a rating between one and five cutleries (which is the Michelin Guide’s ranking of everything else than the food). We also did a tour of Trondheim in December last year, and I will publish my guide and maps of the town very soon. If the inspectors have visited restaurant Credo, I think it will finally get its long-awaited star. My personal favorite in the city, however, was Røst Teaterbistro. The food was at a one-star level, but the style is possibly too New Nordic for the British inspectors. Also, the service is quite casual, and the restaurant environment is not as traditional as other star restaurants. Have the Michelin Guide even been to the city, though? Last year, the guide tricked its readers by having a picture from Bergen on the front page, which many interpreted as a sign that Lysverket would get a star. I still have not been there, so it’s impossible for me to say whether they deserve one. Rumor has it, though, that the inspectors who did visit them last year asked if they always played such loud music. Perhaps the casual and rough style of chef Christopher Haatuft and his eatery didn’t suit the inspectors too well. My number one pick for a new star in Oslo would be restaurant Bokbacka, but I’ve not heard about any visits from inspectors. I really hope they get it, though, as they certainly deserve one. I said that already after my first visit in 2015. I think Statholdergaarden and Kontrast will keep their one star, and Maaemo should indeed hold on to its three stars (the quality is better than ever). Pjoltergeist is still my favorite restaurant in Oslo, but I would be very surprised if they got a star in that dark and crowded basement with their loud hip hop music. Unless the guide wants to make a point like they did in Singapore, where they awarded one Michelin star to a hawker stall that served chicken and rice. 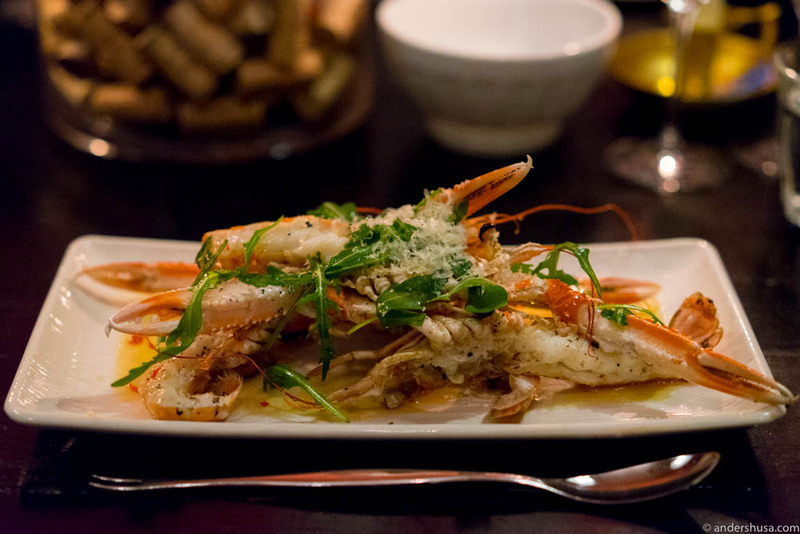 Both Arakataka and Le Benjamin could be new candidates for a Bib Gourmand rating – which signals particularly good value for money. Smalhans should keep theirs for sure. Oslo is experiencing a bistro boom at the moment, but very few new fine dining restaurants are opening. Bagatelle, Ylajali and Fauna have all closed in recent years. Affordable and available are the keywords at the moment. 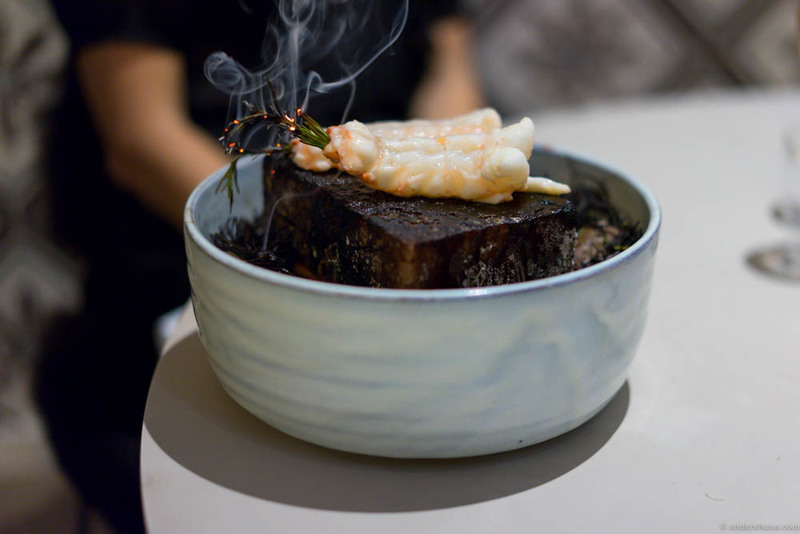 Some notable exceptions are restaurant À L’aise who just opened at Majorstua, where chef Ulrik Jepsen aims to offer old school French elegance, as well as Sabi Omakase who is moving into Oslo as well. They might be star candidates next year. I think Gastrologik deserves two stars, as they are much closer to that level than any one-starred restaurants I ever visited. 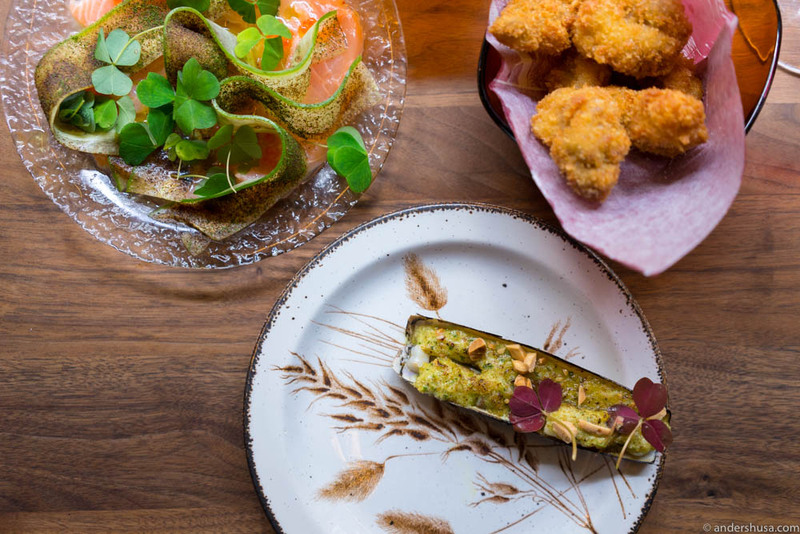 I haven’t personally eaten at Esperanto, but from what I see and hear they also seem much more like a two-star candidate, while restaurant Aloë might get its first star. I’m still quite fresh to the Malmö and Gothenburg dining scene, and won’t make many guesses there, but Hoze is an obvious candidate for a star. In Skåne, I hope Daniel Berlin get their well-deserved second star! Daniel Berlin in Skåne deserves two stars! Copenhagen has so many great restaurants that it’s difficult to navigate the city. I’ve tried to eat my way through the best ones, but admittedly, I still have many to go. Noma should have gotten three stars ages ago, but they keep closing down for periods of time, moving to Japan or Australia, and now Mexico is up next in April this year. That might be the reason why Michelin has not given them the honor they deserve yet. This month, Noma is scheduled to shut down permanently at their old location and reopened closer to Amass (which, by the way, is a candidate for one star in my opinion). Noma’s sister restaurant 108 is talked about as a possible star candidate. Even though it’s currently my favorite restaurant in the city, I don’t feel their style is that of a Michelin starred establishment. I hope they get a Bib Gourmand instead, as that would be more fitting to their casual bistro image. Especially Kadeau (both in Copenhagen and on Bornholm), but also Studio and Søllerød Kro deserves a second star. 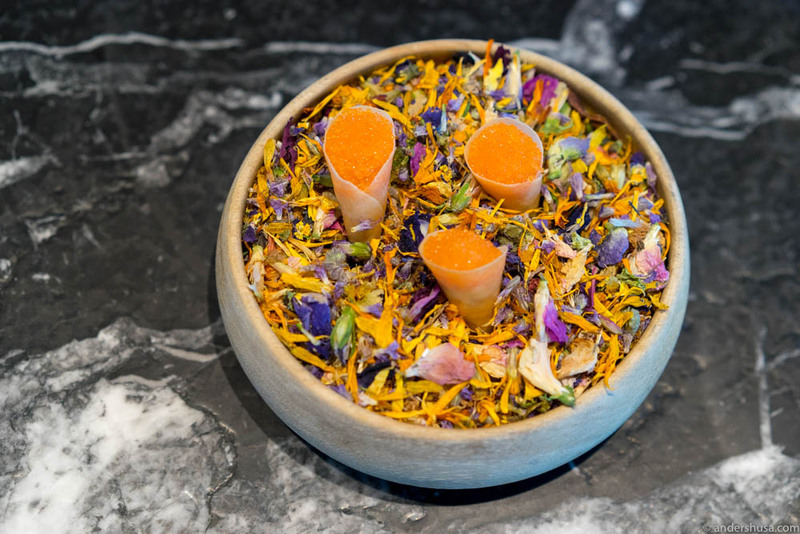 New one-starred restaurants should be Taller and Alchemist, I think, although the latter may be too controversial for the guide with its theatrical presentations and servings of dishes like live woodlice and a bleeding lamb heart. 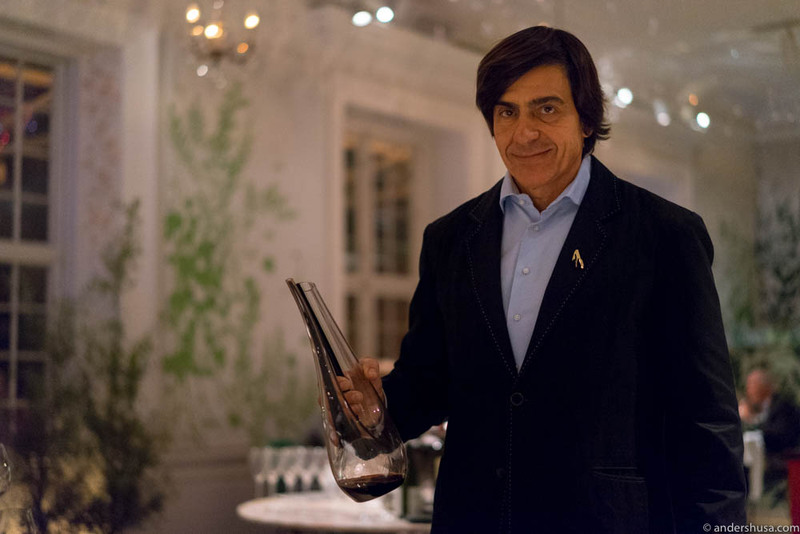 I also hope Marchal will keep its star with the new head chef Andreas Bagh – it’s better now than ever before! Lastly, Mielcke & Hurtigkarl’s star expectations are long overdue, and I wouldn’t disagree if they got one. My foodie friends Rasmus Palsgård, aka Feinschmeckeren, has also placed his bets on this year’s guide. Check them out! Some of his guesses are outside of Copenhagen. I second his opinion for at least one star to Falsled Kro. Moreover, I would easily have given two stars to Hotel Frederiksminde and a Bib Gourmand to Rønnede Kro. A bunch of national newspapers and magazines have picked up this story and interviewed me further about these speculations, among them Dagbladet, NRK, and Hotellmagasinet (Norwegian articles). Who do you think deserves a new star this year? Please leave a comment below. But Fäviken also entered the guide with two stars directly last year? Bib Gourmand for Bass in Oslo perhaps? I was certainly impressed by the quality of the dishes and their affordable prices. And I believe you can get three dishes for about 395,- at Happolati and Sentralen as well. I think you are right, they are all possible candidates for a Bib Gourmand. The following comments are only based on my solo visit at each of the places: Studio may reach 2, not sure of their consistency holds. 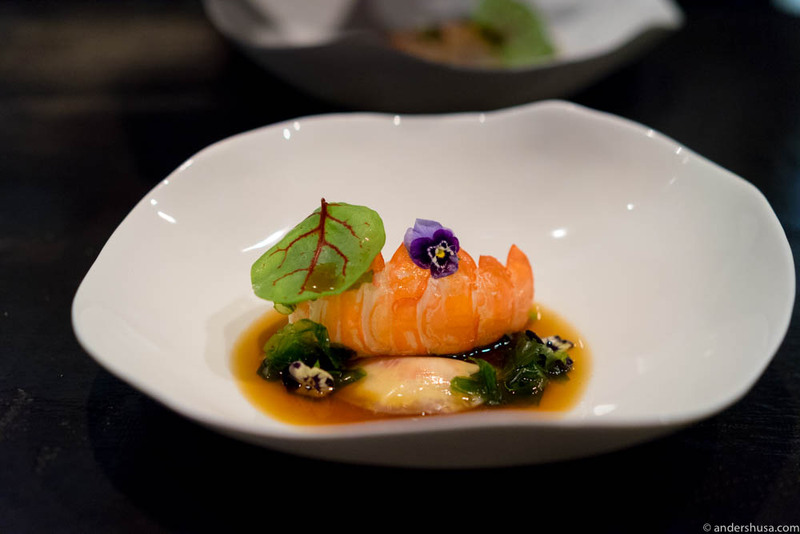 The style is really close to Commis in Oakland, which Michelin likes. 108 may very likely get an one, only because of their connection with Noma. AOC should loose a star, but doubt it will happen. All ones in Oslo should hold, unless something went really off, but won’t see an upgrade. Amass is like 1.5, so 1 sounds fair, but Michelin and world top 50 don’t really see eye to eye. Pjoltergeist is like Schwa in Chicago, absolutely insane and unparalleled, but may never get/pass one star. If Maaemo can’t hold 3, I doubt any where else can, especially they are indeed improving through out years. Thank you for an interesting read. You are mentioning that Maaemo are the only restaurant to featured directly in the book with two stars – didn’t Fäviken do that as well? I believe Kadeau should have to stars IMHO. Søren Frank (Best food critic in Denmark) saw them as the number one contender for the three star recognition! So it’s fair to say they are at a whole other level, than most others. Hi Hans. You are right about Fäviken – I have corrected it. I second your opinion about Kadeau, they definitely deserve at least two stars. I feel that Geist should have had a Star long ago. The style of food is so precise and many of the dishes have become new classics. I agree. I think the quality of many new Scandinavian restaurants is generally very high. They may not be typical Michelin-star-restaurants, but I see a lot more Bib Gourmand candidates in both Oslo and Copenhagen at least. Geist is far from Michelin level! There is a lot of “emperors New clothes” about that place! Some very Nice disses, but dishes like fried egg with Black morels and Cocoa or Fried egg with case, meget be a Nice twist to the breakfast menu at an american diner. But at 95dkk it is a mokery of the guests, and it is not Michelin quality! What about Geranium and their 3 stars? They will keep them I am sure. It would be nice to see some changes in the BiB Gourmand section in Copenhagen – the last couple of years has been a deja vu / jaw dropping nightmare of how many places that has been “forgotten” – or simply been discarded because of 50-100 kr. higher price for a 3 course menu (than the 350 ish price you mention). Amazing meals are being served at Radio, Uformel, Nabo, Bæst, Fischers, Banchina, Pony, Admiralgade 26 and probably a bunch of other places who equally deliver a consistent high quality meal are, in my opinion, to be recognised in one way or another in the Michelin guide this year. Whether it’s a star or bib Gourmand. Besides that Kadeau should have their second star, Mielcke their first and Frederikshøj in Aarhus their second. Watching the show from Melbourne in 30 degrees. Cheers! As a chef with experience from multipel Michelin started restaurants in London and Copenhagen. I see a lot of superb restaurants in Copenhagen that has not recieved the recognition they deserve from the Michelin guide, and that i don’t expect to ever get it, the guide is simply too conservative, and pays too much attention on old school luxury, protokol and formal settings! Hip hop musik, casual service and ambiance seems to disqualify you from stars! That said, amass is my personal favorite, i have never, consistently felt so comfortable and eaten so tasty and inspirering food as I have there, but they will never get a star! Bæst deserves one too, but are more likely to get a bib, which they should have had already! Geist Should not get anything, Yes there are a lot of good dishes there, but consistency is not there, and there a lot of horrible and lazy dishes leaving that kitchen and they do not meet their price point! Bistro Boheme Should get a star, but calling it a bistro might be their problem. Noma, the most underappreciated restaurant by the guide ever, will for sure not get the third, normal guide procedure calls for them loosing their star, with the announced closing. Kong Hans is the most classical 2 stars in Copenhagen, i expect them to get it this year. Henne kirkeby kro, could get a se ond. Lieffroy Should get their first, so should Michel Michaud at Brøndum hotel, falsled kro and dragsholm slot! I agree with a lot of your points, and I also think Michelin doesn’t have the resources to cover Scandinavia as well as everyone expects them to do (since it is THE guide). Thus, they prioritize in a way that excludes a lot of places from ever getting reviewed, and I also don’t think they actually return very often to the restaurants that have a star in the guide already. With some exceptions, obviously.